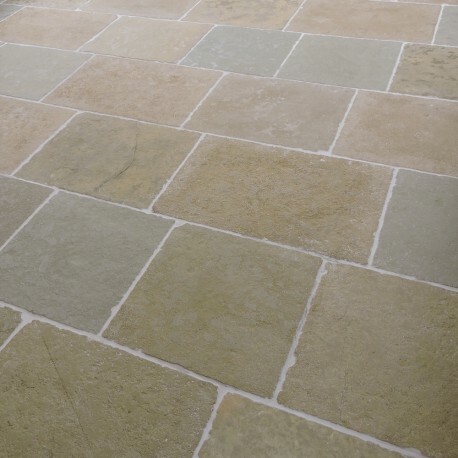 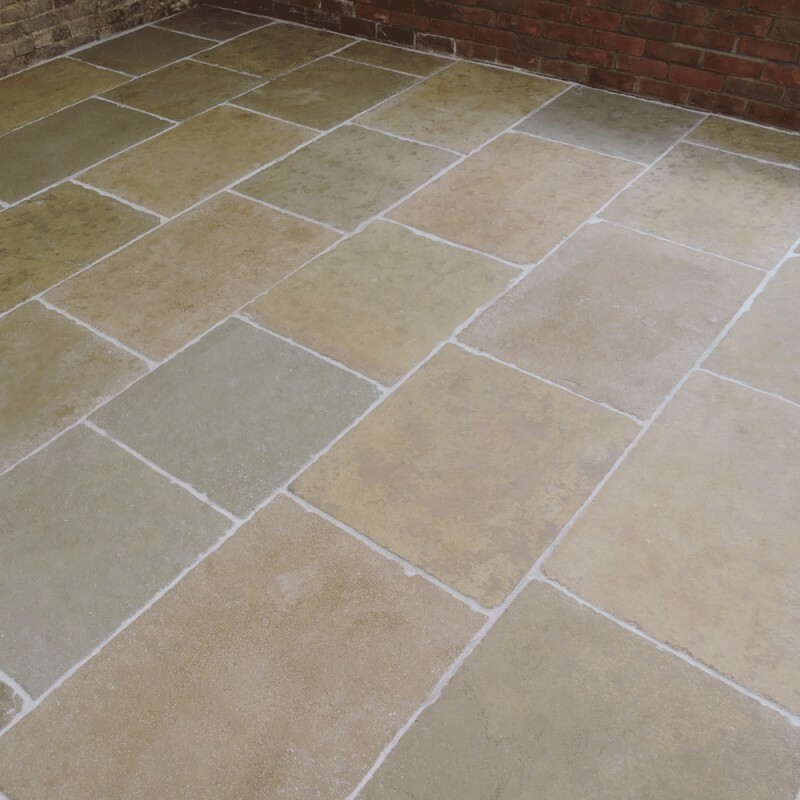 A truly wonderful historical natural limestone tile, if you are looking for a flagstone floor look no further. 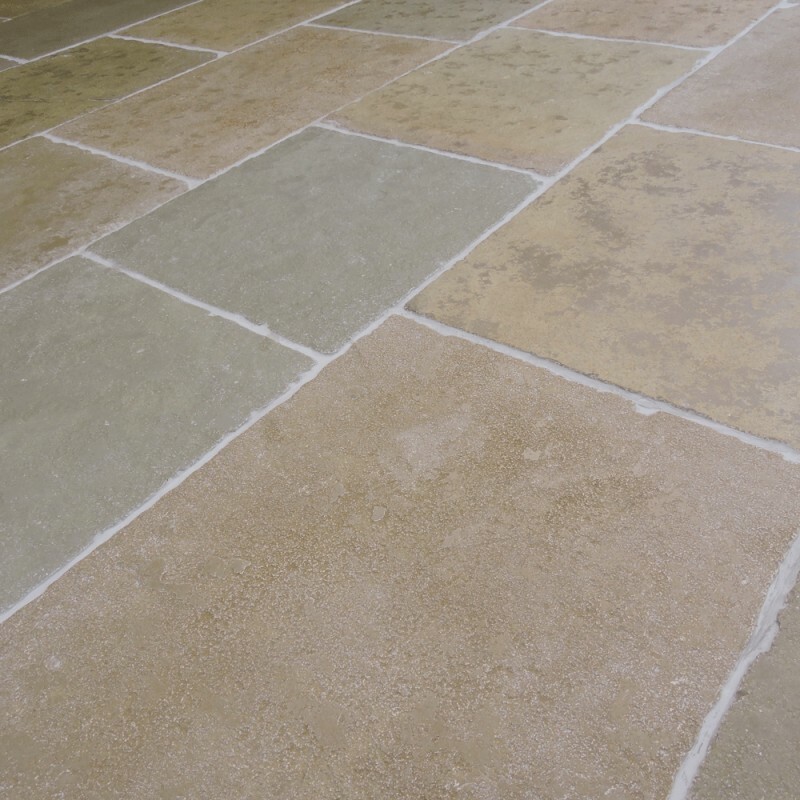 Earthy tones sit at the base of this product, it has a tumbled finish with semi honing applied to it's surface to create an aged worn look, combined with hand cut edges to finish the look perfectly. 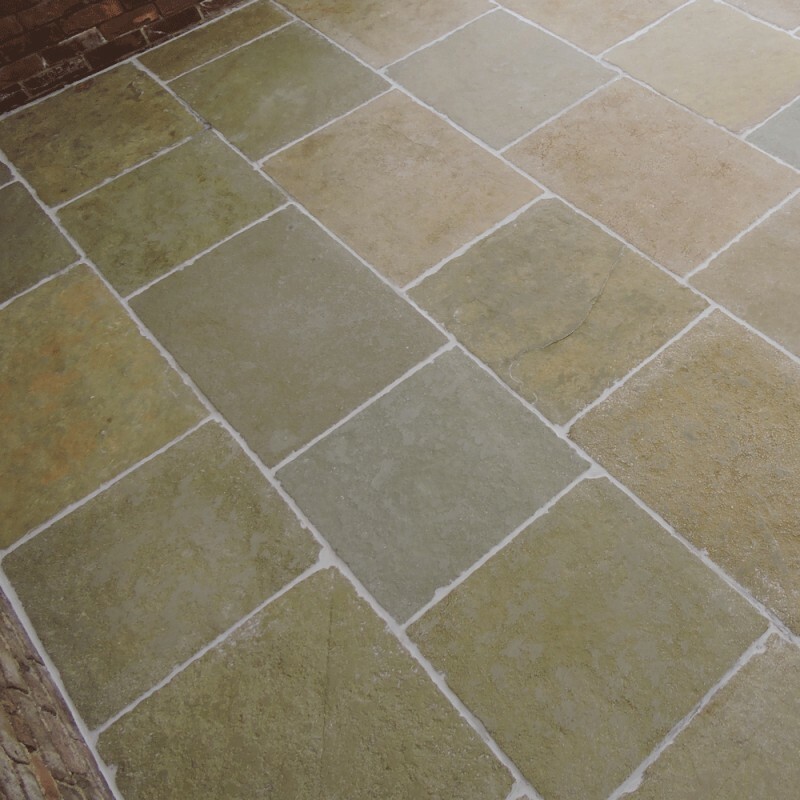 Suitable for both internal & external applications.